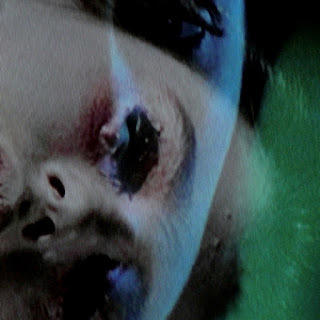 New video from Crocodiles - "Endless Flowers"
Their combination of noise, guitar buzz, and sweet, almost doo-wop vocal harmonies really grabbed me... 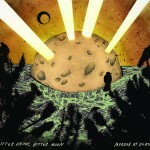 If by chance you don't have this record yet, I'm not sure what else you might be waiting for. Perhaps you were looking for a crazy video... and maybe this did it for you. Motown Funk Brother Bob Babbitt, one of the great soul music bass players, died Friday in Nashville at age 74. Babbitt was recruited to Motown by the legendary James Jamerson in 1967 and brought a rock edge, creating some of that label's most memorable hits: The Temptations "Ball of Confusion", Marvin Gaye's "Inner City Blues (Make Me Wanna Holler)", Smokey Robinson's "Tears of A Clown" and Edwin Starr's "War". The Soul Corner - Gene Chandler "Nothing Can Stop Me"
The album is available for preorder via Bloodshot Records website, or via the band's Kickstarter page, with some pretty elaborate packages available. Either way, you get the single as a free download. 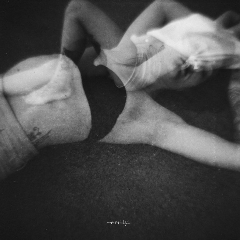 Last month we reviewed Moth, the excellent debut LP from London's ExLovers (review here). On Monday, July 23, the band are releasing album track "Emily" as a single on the Young and Lost Club label. The track is both beautiful and melancholic. Here is accompanying video, which the band directed and shot themselves while in Japan. I think ExLovers are one of the truly exceptional indie bands to debut an album this year. If for some good reason, such as losing all of your money speculating on commodities futures, you haven't acquired Moth yet, you can get the single to have a piece of the band until those investments pay off. 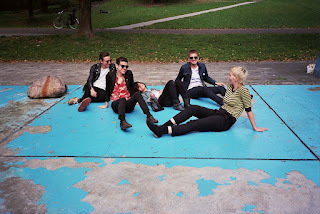 New video from PS I Love You - "Toronto"
Here's a new video from WYMA favorites PS I Love You, for album track "Toronto". If you haven't already, you can read our review of Death Dreams here. Short version: We like it, and PS We LOVE the guitars. I make quite an effort to keep my eyes and ears open for that great indie guitar pop sound. I'm accustomed to finding it in Scotland, England, Sweden, Finland, California, Seattle, New Zealand, Australia, and even Singapore (if you haven't listened to Obedient Wives Club, you are missing a treat). But we get by with a little help from our friends (phrase trademarked by Rocksteady74 LLC), and in this case, the friend is Jimmy at Matinee Recordings. 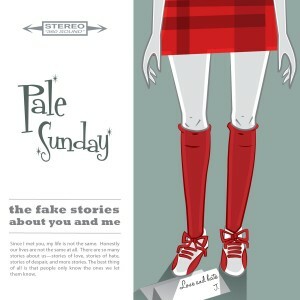 Thanks to Jimmy, we know about Pale Sunday -- A Brazilian power pop/twee pop four piece whose The Fake Stories About You and Me EP continues Matinee Recordings' 2012 string of high quality releases. "Happy (When You Lived Here)" is a lovely, jangly melody that may remind you Belle & Sebastian both in sound and in melancholic sentiments. It also is available for free download. The robust guitars and plaintive vocals of the second and third tracks, About Your Life and That's the Way, earn fair comparisons to Teenage Fanclub's powerpop portfolio. The EP closes with the gentle Winter Song, on which piano and strings are added to the accompaniment. Pale Sunday has chosen it's influences well, and executed its own interpretation of the genre in an excellent and affecting fashion. And their shimmering pop arrangements and warm harmonies make The Fake Stories About You and Me EP a perfect record for your summer collection. The members of Pale Sunday are Luiz Gustavo (bass/vocals), Sineval (guitar), Tiago Fuzz (guitar/synths), and AZ (drums/backing vocals). Several of their previous releases can be streamed at their website and purchased from Matinee Records, the links for both of which are below. I’ve been obsessed with recording music since I was about 13 years old, when I read The Beatles Recording Sessions by Mark Lewisohn. I loved that book and must have read it over 20 times until finally, its binding disintegrated. The dream of my youth was to get a mixing console so I could de-construct the Beatles’ mixes, until I discovered I’d need the master tapes to do that. So instead, I analyzed their stereo mixes one channel at a time on my dad’s old quadraphonic hi-fi system, trying to pick out sounds I’d never heard before. That’s another thing we wanted to try with this record—have people pick out the references we make in the music. We thought it would be a funny thing to do. Funny, maybe. Definitely enjoyable. This is a fun record that, like the work of Lytle, Coyne (and dare I say, Brian Wilson?) really rewards repeated listening. In addition to the baroque keyboard and vocal elements, check out the guitar lines on songs like "Out Of Tune" - a country-sounding break early on, and some sweet slide guitar later, with reverb laid on top. Every song reveals moments like this once you give them the chance. And you can download Pyramids of Love here. It's out now on Wil-Ru Records. The band is Conor Cartwright (vocals/rhythm guitar), Jude Smith (vocals/bass guitar/piano), Stuart Anderson (lead guitar), and Simon Coakley (drums), and they are from Uddingston. They first caught my eye, or ears, with their humorous single "Desperate Dan (She Told Me She Was Single)" in which the narrator ponders his upcoming demise at the hand of the boyfriend of the girl he recently slept with. I marked them as a band to follow, and nothing on offer in the EP has changed my opinion. Maria Rodés is a Spanish singer/songwriter who is creating some of the most beautiful pop music I've heard in some time... touching on folk, alt/country and even some gently rocking soul, but with an almost supernatural voice in front of all the tempos and arrangements. It's out now on BCore Disc. In the timeless battle between good and evil, good often triumphs. But as we grow up, we learn that there are times when evil wins. Such is the case in the current Seattle indie scene, where the current winning act is evil. Or, to be more precise, The Young Evils. And in the case of this band, we find ourselves in the position of cheering for evil. 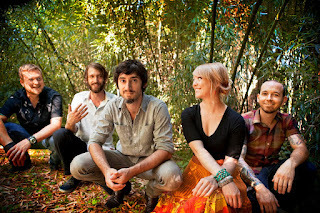 The band was founded by Troy Nelson (guitar/songwriter/lead male vocals) and Mackenzie Mercer (female vocals), who met working in Seattle's Easy Street Records. Cody Hurd was in the band near the beginning as well. In 2010, they released Enchanted Chapel, a delightfully good debut LP full of energetic guitar pop and well-crafted ballads that cracked my list of top 20 albums for the year. They are back, now as a five piece, with the four-track EP Foreign Spells. Like its predecessor, Foreign Spells features fast paced songs with male/female vocals that sometimes are sung in unison and sometimes dueling. However, for this release Troy's songs have a more complexity and a far darker shade, and the band's sonic palette is fuller. They aren't yet in The Raveonettes territory in terms of sound and style, but they are discernible distance closer than they were two years ago. And it should be noted that while Mercer's vocals were a standout on Enchanted Chapel, her gifts are even better showcased in her boyfriend's current set of songs. In addition to Troy Nelson and Mackenzie Mercer, The Young Evils are Cody Hurd (guitar), Michael Lee (bass), and Eric Wennberg (drums). Faustine Hudson played the drums on the EP. The band's performance on the EP is tight and confident, and I think that Foreign Spells will serve as an excellent springboard for their continued development. If you can't find a physical copy, or just like the digital route, Foreign Spells is priced to move on Amazon and Bandcamp. You can stream the entire EP on the Bandcamp link below. By the way, the busy Mr. Nelson also is a DJ at Seattle's influential KEXP (web listening link here), where he holds down the Friday 9pm to Saturday 1am slot and subs in the mornings for John Richards from time to time. POST is a Glasgow/Manchester we've been following enthusiastically for some time. Just yesterday they released a proper single New Play Thing on the Blue Fur and We Can Still Picnic labels. It is a very infectious vamping tune that will remind you of Franz Ferdinand (or, if you go back that far, Josef K). And I have no doubt that there will be dancing feet to this track. You can give the record a test spin with the promotional video right here. The CD version of the single is available in stores in Glasgow, Manchester and London. Digital copies are available in the usual digital outlets. POST is Graham Wann, Craig Forbes, Adam Florence and Chris Elkin. They have shows planned for Glasgow and London in the fall, and are planning to add August and September dates. If you like these guys, and I highly recommend them, follow them through their website and Facebook pages, because the chose a name that is sure to frustrate those who try to research them via Google or other search engines. Video of PreTeen's performance of "Irene"
As readers here know, I'm very fond of the music of San Francisco band PreTeen. I recently became aware of a video for their live performance of "Irene" from last November, so I am sharing it with you. Seattle/Portland act Orca Team boasts an interesting and somewhat unusual sound that I describe as a mid-fi, semi-restrained surf pop with plenty of reverb and prominent bass lines. Oh, and it sounds great. They currently are on tour with dates in the eastern and midwest United States, and a few dates further west. You can stream it the entire album here. If you're like me, you'll find the songs worming their way into you brain. 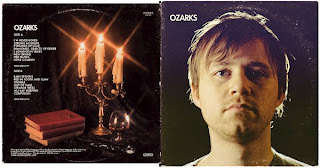 They have several other releases to their credit, which can be explored at the Bandcamp link below, and sourced via Bandcamp or their label, HHBTM Records (Happy Birthday to Me Records) in Athens, Georgia (link below). The members of Orca Team are Dwayne Cullen (drums), Jessica B. (guitar), and Leif Anders (bass and vocals). One of our most popular discoveries this year, and a personal favorite of mine, has been the talented Glasgow group Father Sculptor. The lads have decided to follow up their excellent spring record Ember/Blue by releasing a single every two weeks through the summer. And here is the first -- "Rhein", available July 16. As with the spring release, this track features a beautiful melody, multiple sonic textures and a building tension. Quite simply, it represents topnotch songcraft, and it continues to make the case that Father Sculptor, despite their recent entrance stage right, yields to no one in the ability to create emotionally evocative pop music. Rarely does music make you feel so good about feeling melancholic. And as a remedial lesson for those who are late to the WYMA party (sorry, you missed all the free beer), here are the aforementioned "Ember" and "Blue". This band is building an impressive body of work, and if you are going to let anyone play your heartstrings with their guitar pics, these are the guys you'll choose. Check back every fortnight; we intend to be along for the ride.